By 1915, 1st Lt. Byron Q. Jones was known as the 1st Aero Squadron’s daredevil flier. While searching for Pancho Villa, Byron Jones became the first U.S. military pilot to fly a combat mission. Being kicked out of West Point for hazing in 1908 may have been the best thing that ever happened to Byron Q. Jones. Far from sending Jones into a tailspin, that initial setback inspired him to work harder and eventually overcome many of the serious challenges facing America’s early military aviators. A half-dozen or so years after he left the academy in disgrace, Jones—back in a U.S. Army uniform and piloting a biplane trainer—would earn his place in military aviation history. Six months after being dismissed from West Point, Jones and several others were reinstated by direct order of President Theodore Roosevelt. Jones eventually graduated as a member of the Class of 1912. After spending a year or so in the cavalry, he joined the Army’s 1st Aero Squadron. In 1915 Jones earned a reputation as a daredevil in the air, setting flight duration records and becoming the first Army pilot to execute a loop as well as to intentionally enter a stall and a spin—and recover from both. In recognition of his accomplishments, he was awarded the 1915 MacKay Trophy. He appeared regularly in Flying Magazine, Boys’ Life and other periodicals of the day, profiled in articles extolling his stunting skills. While operating from a dusty cavalry training field in Texas later that same year, Jones made the most noteworthy flight of his career: Flying with observer Lieutenant Thomas D. Milling on April 20, 1915, 1st Lt. Jones flew the first-ever combat sortie by a U.S. Army pilot. More important, he lived to fly another day. Jones and the 1st Aero had been sent to Fort Brown in Brownsville, Texas, in response to growing tensions with forces loyal to Mexican revolutionary Pancho Villa. At the time, the squadron was far from an effective fighting force. According to one source, due to the fragility of the aircraft, only about 50 percent of planned sorties could actually be launched. Pilots who did make it off the ground faced daunting odds, as crashes were common. 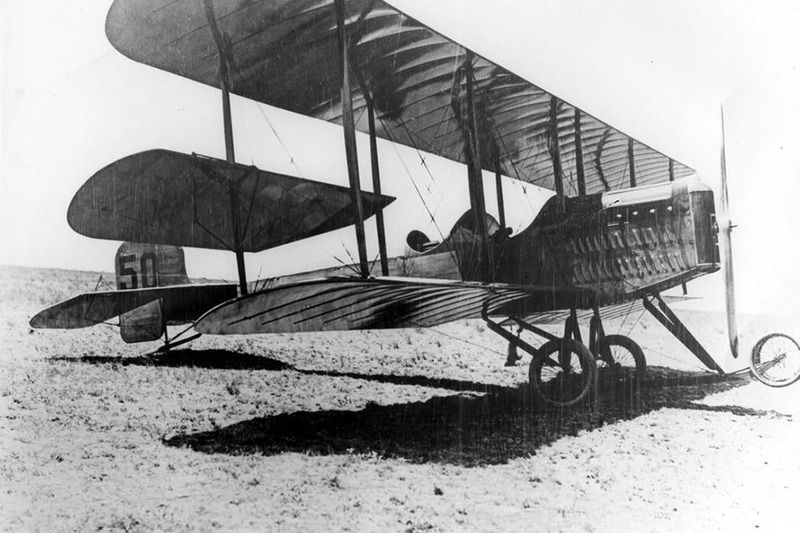 After arriving at Fort Brown on April 17 and assembling their Curtiss JN-2s, the airmen commandeered the west end of the fort’s cavalry field, then sent word to Maj. Gen. Frederick Funston that they were ready for duty. Funston, who had won accolades for his command of Army forces in San Francisco after the massive 1906 earthquake, was then in charge of all U.S. troops along the southern border. He ordered his fliers to perform reconnaissance along the Rio Grande and discover the whereabouts of Villa’s forces. On the morning of April 20, Jones made the first such flight from Fort Brown, returning to base a short time later with nothing to report. He was sent up again that afternoon, this time joined by Milling, field commander of the aero detachment, in a Martin T biplane. For this second flight Milling carried a map created by Funston’s intelligence team, indicating where Villa’s men might have dug trenches around the Mexican city of Matamoros, just across the meandering Rio Grande from Brownsville. With Jones manning the controls, Milling would spend his time aloft comparing those drawings with what he could see from the air. About 15 minutes into the flight, however, their airplane drew the attention of Villa’s forces, who opened fire on them with at least one machine gun as well as small arms. Jones, the experienced stuntman, maintained his composure even after the plane was hit. He opened the throttle and nosed up, climbing to 2,600 feet to avoid further fire. Maneuvering away from the river, he managed to return safely to Fort Brown. Jones’ Army biography summarized his accomplishment this way: “He was the first American pilot fired upon, flying over the river at Brownsville, Texas, by Mexicans using machine guns on the Mexican side of the river.” A state historical marker would later be installed at Fort Brown to commemorate the encounter. Shortly after that, the 1st Aero was sent back to San Diego for additional training. Jones would miss the 1916 expedition into Mexico led by Brig. Gen. John J. Pershing; instead the Army sent him to the Massachusetts Institute of Technology to conduct advanced study in aeronautics. Jones went on to serve as chief of training for the Air Service in Europe during the war. He later became a test pilot of sorts at McCook Field in Dayton, Ohio. During the airmail fiasco of 1934-35, Jones led the Army’s efforts in the New York region. He remained in the Air Service through the late 1930s, when he transferred back to the cavalry. As World War II began, Jones—now assigned to a desk job in Washington, D.C.—filed paperwork with the U.S. Patent Office for a new Army project associated with ground warfare rather than flying. Since he had filed the patent request for a “Military Vehicle Body,” he is technically listed as the inventor of what is arguably the war’s most important vehicle: the jeep. During WWII’s second half, Jones was assigned to the staff of General Douglas MacArthur in the Pacific. Thanks to his experience as an air service officer in the Philippines in the 1920s, Jones often participated in recon flights for MacArthur while the commander was planning his famous return to the Philippine islands. Jones retired from active duty due to a heart ailment in 1944. He and his wife, Evelyn (a great-granddaughter of William Clark, of Lewis and Clark fame), called Washington, D.C., home late in life. Colonel Byron Q. Jones died in 1959. At his funeral at Arlington National Cemetery, all 10 of Jones’ pallbearers were members of the West Point Class of 1912, including nine generals, two of whom had achieved four-star rank. It was a fitting final chapter for an officer who had long served in the very best tradition of the academy. Originally published in the May 2014 issue of Aviation History. To subscribe, click here.